The Scappoose Bay Watershed Council, which carries out projects to educate the public and protect plants and animals in the Scappoose Bay watershed, is juggling projects at North and South Scappoose Creeks, Dart Creek, Milton Creek, Sauvie Island and Fisher Park. 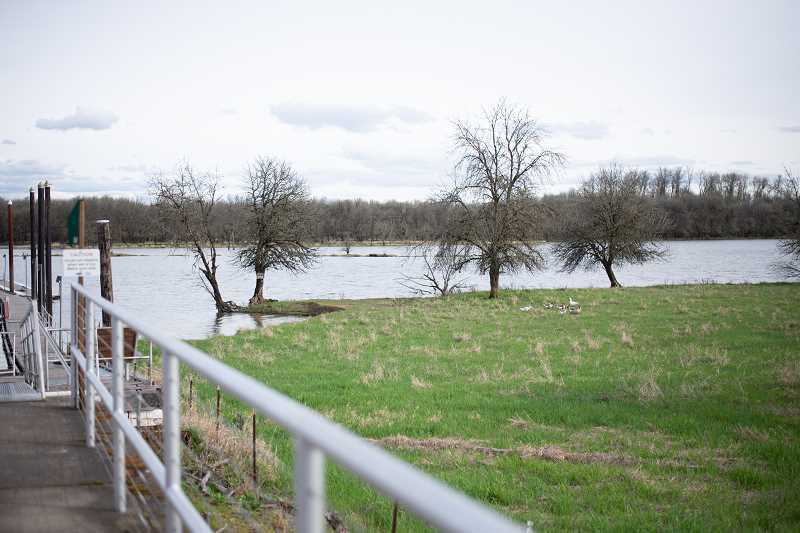 Restoration at North Scappoose Creek is the latest big project for the watershed council, but three more project proposals are in the works, SBWC Coordinator Pat Welle said at an April 2 council meeting. The council's current five-year plan, which concludes in 2020, set lofty goals. The watershed council's top priorities included protecting important wetlands, restoring main creek corridors and enhancing salmon habitats, according to the plan. To accomplish the goals, the council would require "increases in staff development, stable funding, and Board capacity," the action plan notes. Staff members are now recognizing that the SBWC's limited resources are stretched too thin. "We've basically been running the council at 120 percent capacity," Welle said. "The two of us [full-time staff members] just can't do that anymore. It's not sustainable." Welle is joined by Amber Kester, a watershed technician, as the watershed council's paid staff members. "We have to find this balance," Welle added, suggesting the council members hold a retreat "to look at what we want the council to look like in a year, or two, or three." Floods that hit Scappoose in February prompted re-evaluation and served as a test of some projects. At Milton Creek, hundreds of pieces of wood had been placed in the water before the floods, which helps support a healthy environment for fish. A recent visit showed the wood "all got bounced around but [was] in good condition," Welle said. The flood also led to a significant shift in how Kester will design plant layouts for future projects. Kester had planted stream violets along the edge of the creek prior to the flooding. "It's a beautiful plant, but seeing it after the flooding and looking at the actual erosion control that it did along the banks was absolutely fascinating," Kester said. The roots of stream violets, which are five-petaled yellow flowers with dark nectar guides on the lower three petals, help stabilize soils and protect against erosion. "It really made me re-evaluate, going into these future projects, that the daintier-named plants might be key in some of these stream bank restorations. These things, once established, are doing what nature intended them to do," she added.